A green DF4B hauling a train of green coaches through a green landscape. Although the Chinese countryside can look very brown in Winter, in Summer it's a different story. 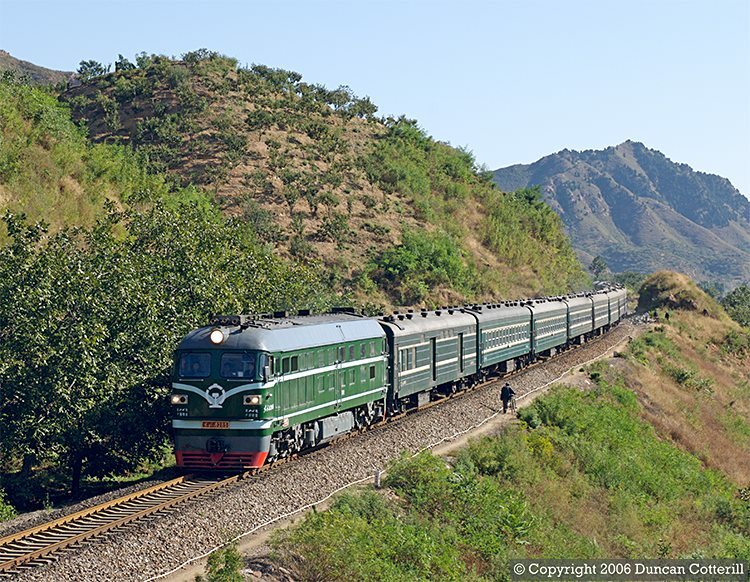 DF4 6285 rolled down the bank towards Dachengzi with 2258/2255/2254/2252, a train that takes a very roundabout route from Dandong to Beijing. The photo was taken on 29 September 2006.